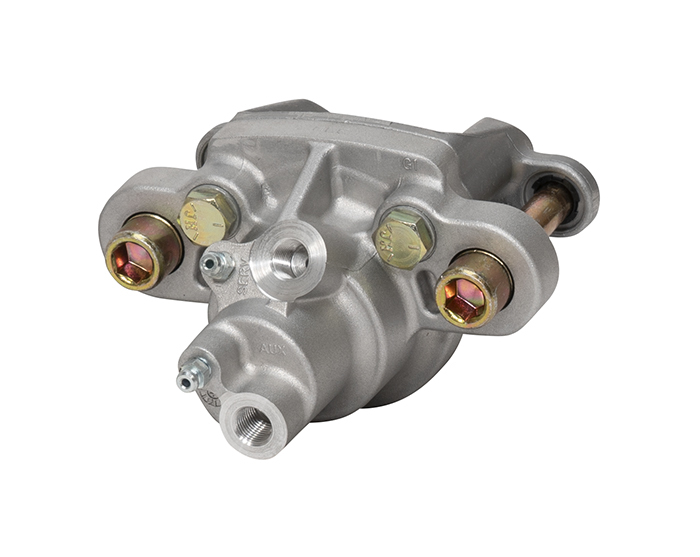 Wilwood’s DH4, Dual Hydraulic Calipers offers a step bore piston with a unique primary braking circuit and an additional isolated secondary hydraulic actuated parking brake. Primary piston bore is 1.50” inches, secondary is .94 “diameter and is further isolated with dual 10mm x 1.00 fluid inlets. Designed for rotors no larger 9.00” diameter and .19” width. DH4 caliper feature a floating, single piston design with 3.38” wide slide pin mounting. 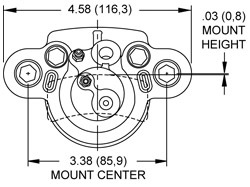 The DH4’s Low squeeze version use a modified seal design to maximize piston retraction in applications where low drag is paramount. 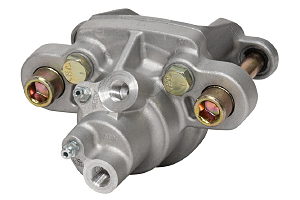 Calipers are supplied without brackets. Additional steel brackets are available.